Cleaning garage floors is very important when you are preparing the concrete floor for some kind of garage floor coating. Having a clean, properly prepared concrete floor for the installation of a garage floor epoxy or some type of garage floor resurfacing material is critical for the success of the coating. No matter how new or old the concrete floor is, it will need a clean, profiled surface if any type of coating is going to achieve maximum adhesion. 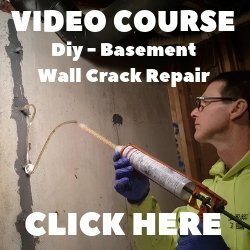 There are many ways to etch the surface of the concrete, using muriatic acid or an etch-n-clean solution is usually the easiest. But etching the surface can sometimes take multiple applications to sufficiently clean and profile the concrete, then you have to let it dry for at least 24 hours. A better solution may be grinding the surface of the concrete with a floor grinder or using a shot blasting machine to roughen up the surface. These types of garage floor cleaners are usually faster than acid etching. 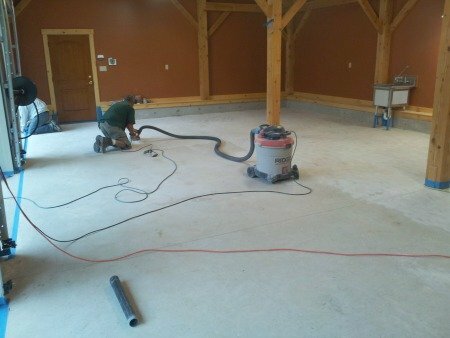 When your done, you sweep & vacuum up the debris and your ready to coat. If a sealer was applied to the floor, grinding or shot blasting is necessary to open up the pores of the concrete so the coating will bond properly. Acid etching will not completely remove most sealers. 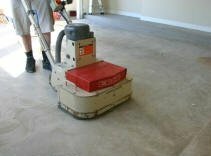 FLOOR GRINDING - Mechanically grinding the concrete is a far superior method of garage floor cleaning compared to etching. Grinding is usually accomplished by the use of a walk behind floor grinder or for small floors a hand grinder can be used. A walk behind grinder has one or more rotating plates containing extremely hard, diamond faced grinding stones. You can rent these machines. They will be more expensive than etching. 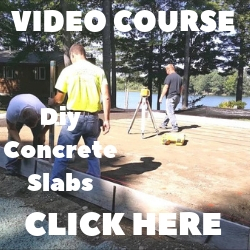 But grinding offers much better, reliable abrasion of the concrete surface. Grinding produces a coarser surface, and leaves no acid residue or moisture behind (two very bad things for a coating). Cleaning garage floors with a floor grinder means you can be coating the floor the same day, saving you time, and for me that means saving money. 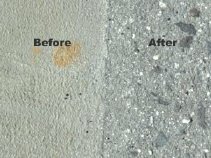 SHOT BLASTING - Shot blasting is the preferred method of mechanical garage floor cleaning by most coating manufactures. These walk behind machines clean and profile the concrete surface simultaneously. 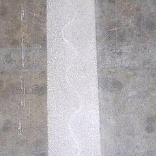 Shot blasting strips thin coatings, removes contamination and laitance (soft concrete) to reveal a surface profile that is great for a coating to bond with. The machine blasts small steel balls onto the concrete surface at a high velocity producing the ideal coating profile. Shot blasting can be used for small and large garage floors. It is dust free, dry, leaves no residue behind, and is very cost effective. A small to medium size garage can be done relatively quickly so you can start painting the same day. It might be a good idea to hire a professional to do the shot blasting. It would be a lot faster and would leave you with a clean garage floor that's ready for epoxy or resurfacing. Cleaning garage floors by floor grinding or shot blasting will insure your concrete is profiled correctly. If you try applying an epoxy floor paint to a smooth unprofiled concrete floor, you can expect the epoxy to peel and lift due to hot tire pickup and inproper adhesion. Using one of these two garage floor cleaners should eliminate this problem, increasing your chance for a successful application.